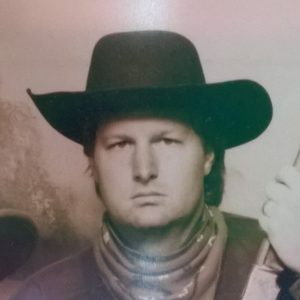 I have worked on various personal and professional computer programming projects over the years. This is a collection of some of those projects. Links are provided when more details are available. Dates are rough estimates for when the program was developed. Art projects can be found here. This is a C# Unity-based 3D game prototype for a Lunar Lander style game. It’s a work-in-progress. And some blog posts about the project HERE. 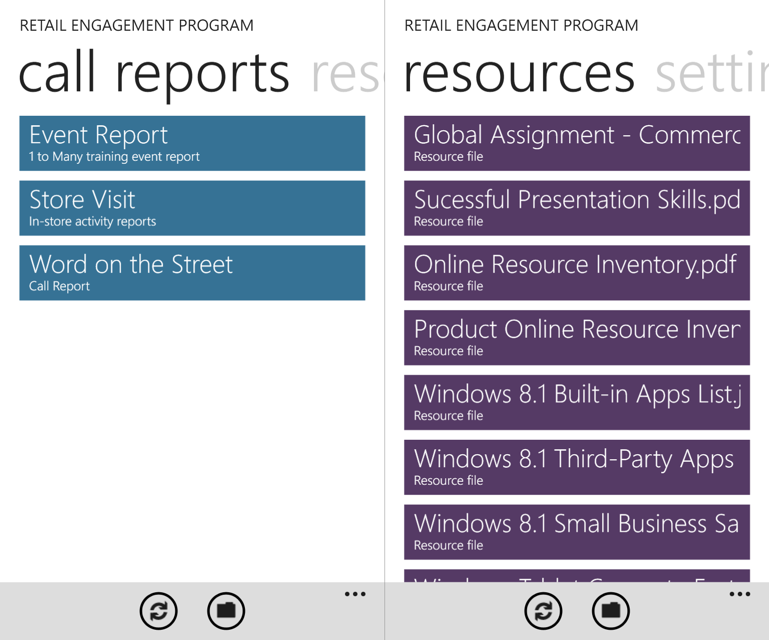 The Retail Engagement Program apps, working with a proprietary server system, provide remote paperless form handling, and other mobile workforce features. 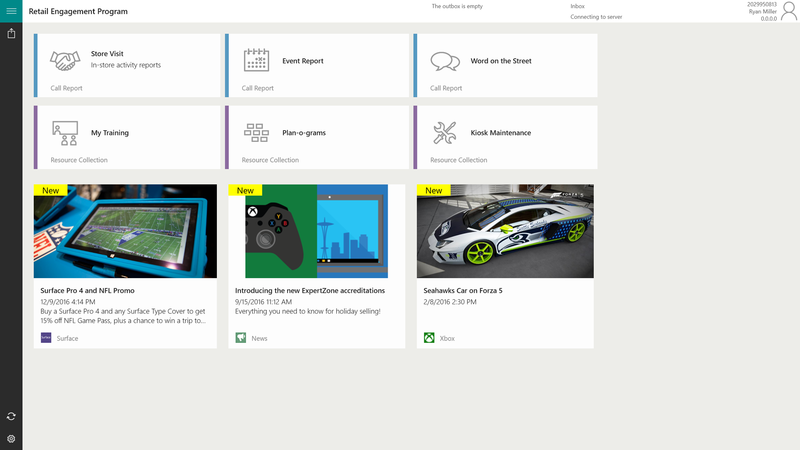 This project entailed writing apps for Windows store, Windows phone, Android, iOS, and a website. 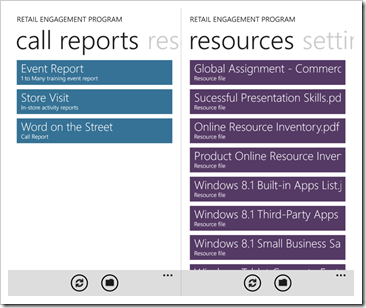 Click here to read more about the Retail Engagement Program apps. The Retail Engagement Program system is being used by a major technology company to meet its retail store marketing and training needs. 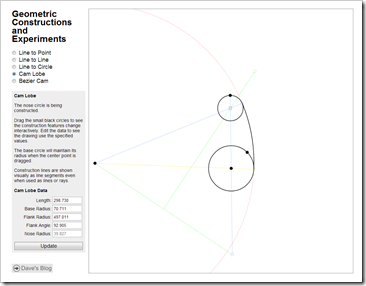 Linkage is a mechanism designer and simulator. Click here to read more about the Linkage program. 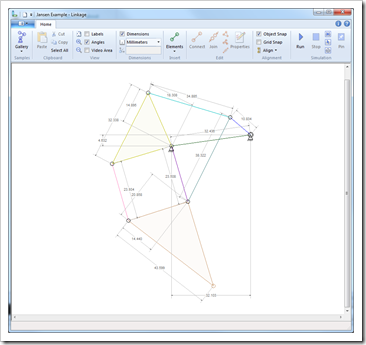 This is a fully functional freeware product with many users world-wide. 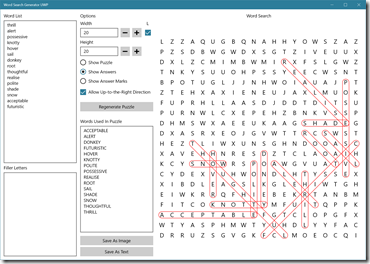 The Word Search Generator is a UWP app designed to work on desktop and mobile Windows 10 platforms using a single set of source code modules. It is a available in the Windows and Windows Phone stores. DeCypher is a bio-technology product created and sold by Active Motif as part of the TimeLogic brand. 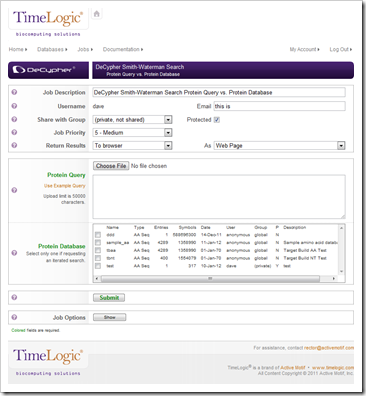 The web interface (left) is one of many methods for accessing the hardware accelerated search device. Click here to read more about DeCypher. This is a commercial product being used by many pharmaceutical companies and universities world-wide. 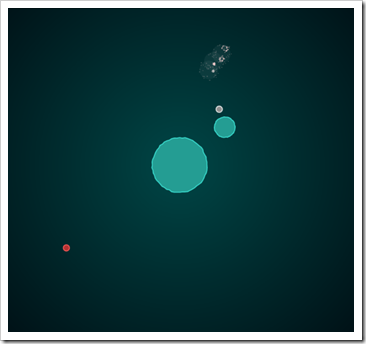 Planetary Defense is a browser game that can be run while disconnected, on a tablet, phone, or PC. Click here to see more about Planetary Defense. Planetary Defense was featured in Gee Display magazine. The Auto Responder application is a set of programs and a web interface for generating automatic responses to incoming SMS and email messages. The Auto Responder handles true SMS messaging by integrating with an SMS message service. Click here to read more about the Auto Responder. Contact me to see a working version of this project. 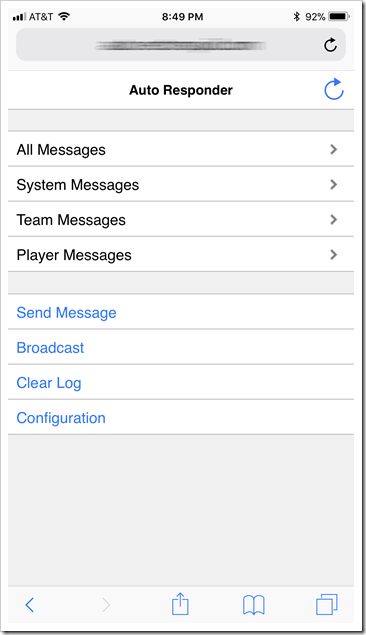 This is interesting because of the integration with an SMS messaging service as a web service. 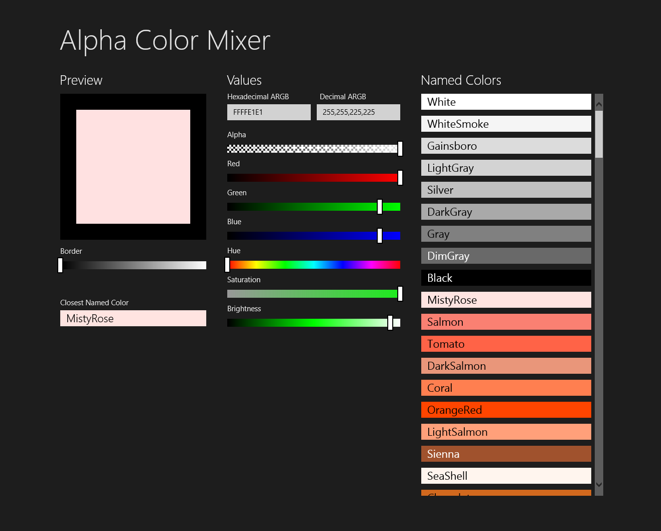 This simple color mixer was built and submitted to the Windows Store in a single day. 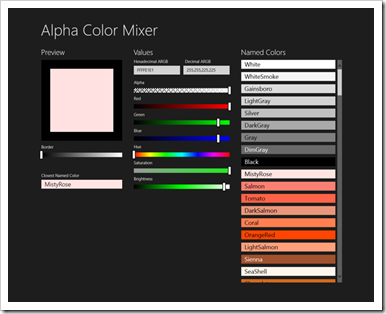 It is unique in having an alpha channel adjustment. See this in the Windows Store. This is interesting because of the various new and interesting features provided by the Windows Store App API. 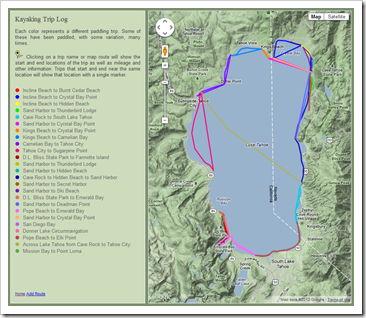 The kayaking trips page uses the Google Maps API to display a history of paddling trips and allows new trips to be added using a point and click interface. In recent years, I have started to record bicycling trips with this “app”. Click here to see the kayaking trip page. 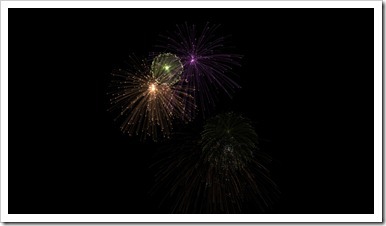 This blog uses a custom WordPress plug-in to add custom shortcodes and post filters. The theme is also modified with custom CSS. 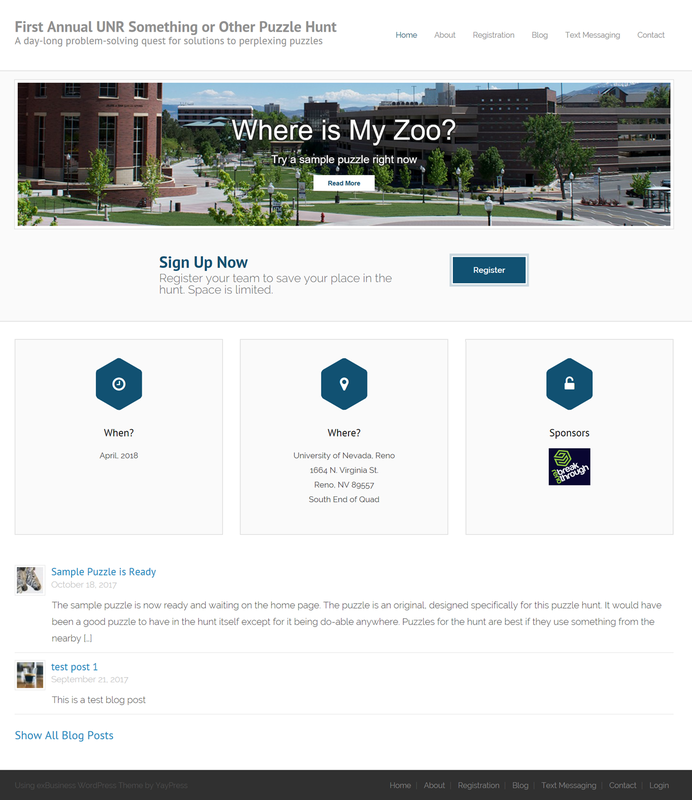 This is currently a prototype site for a puzzle hunt event in Spring 2018 at the University of Nevada, Reno. 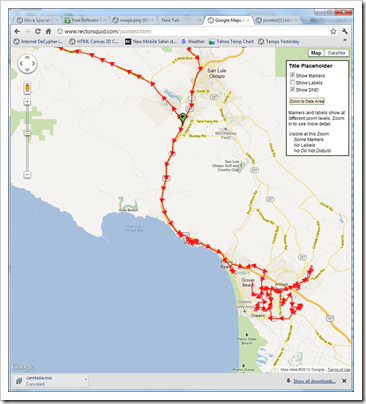 The route mapping project uses the Google Maps API and JSON data to present mobile workforce time and movement information. 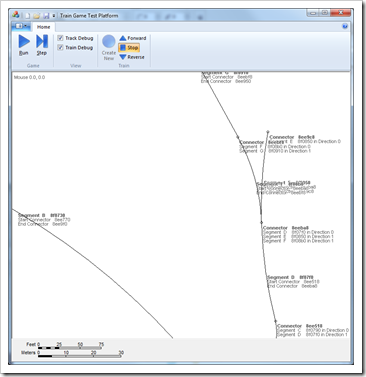 The level of detail is adjustable at runtime manually and automatically based on the zoom level. Click here to see the experiment page for this project. 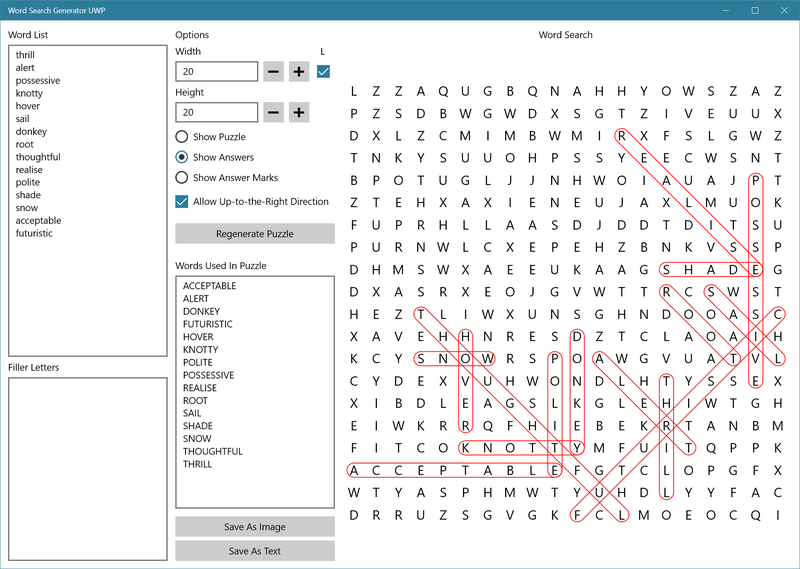 This word search program lists words, from a set of word list files on the server, that match a pattern of consonants and vowels. Click here to read more about this and to run the online PHP version of the program. 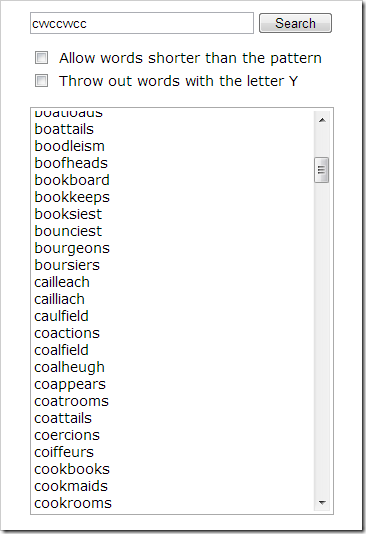 This is interesting because it uses AJAX and a PHP script on the server to do the search. 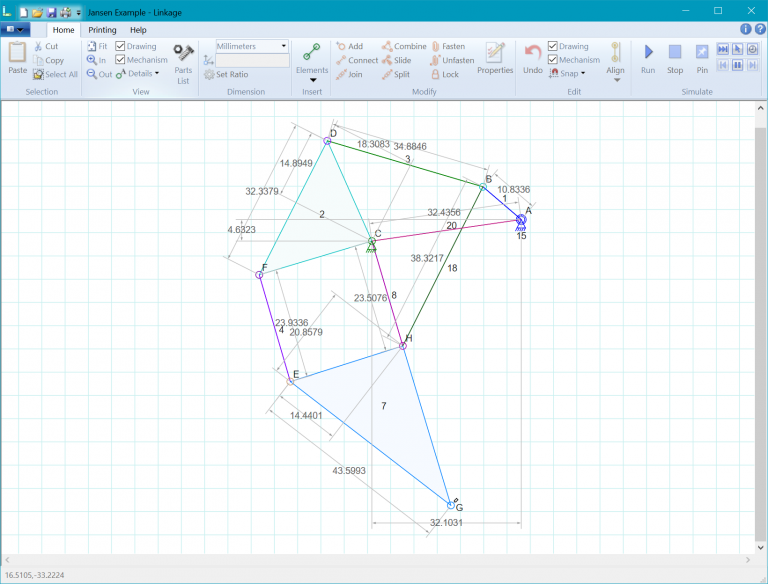 This is interesting because of the geometry used for some of the constructions. This is a railroading game and simulation experiment for testing various train and railroading game concepts. Click here to read more about the train game project. This is interesting because of it required development of an A.I. 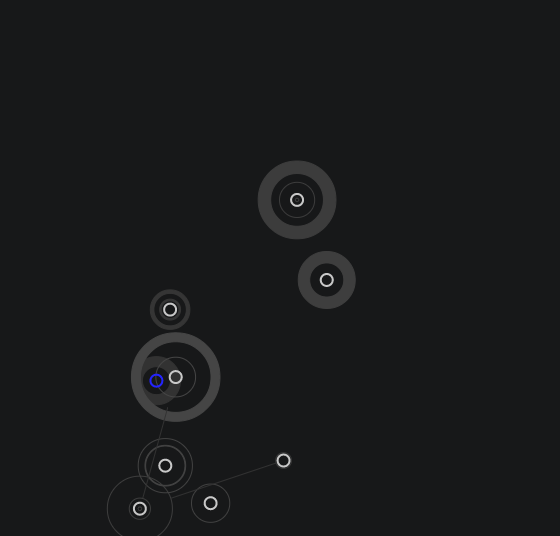 path finding algorithm. 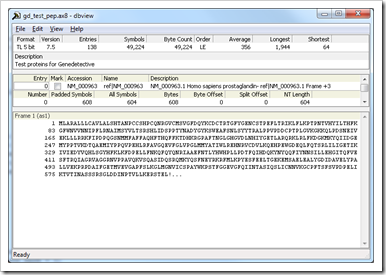 DBView is a utility program to examine binary and text databases in various formats for debugging purposes. It has an architecture that allows new viewer modules to be added without requiring changes to any other part of the source code. 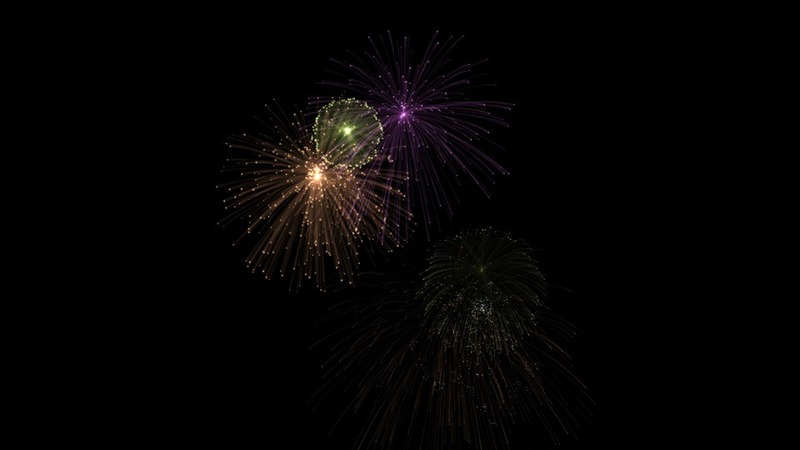 Click here to read more about DBView. 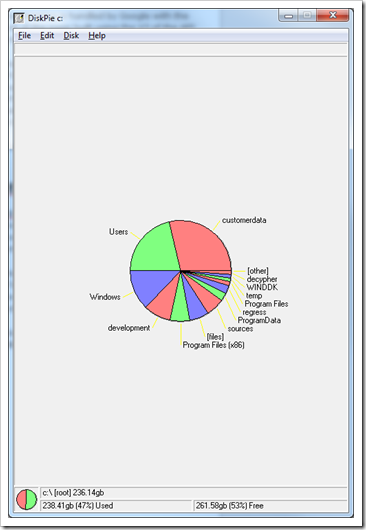 This program shows disk space usage as a pie chart. 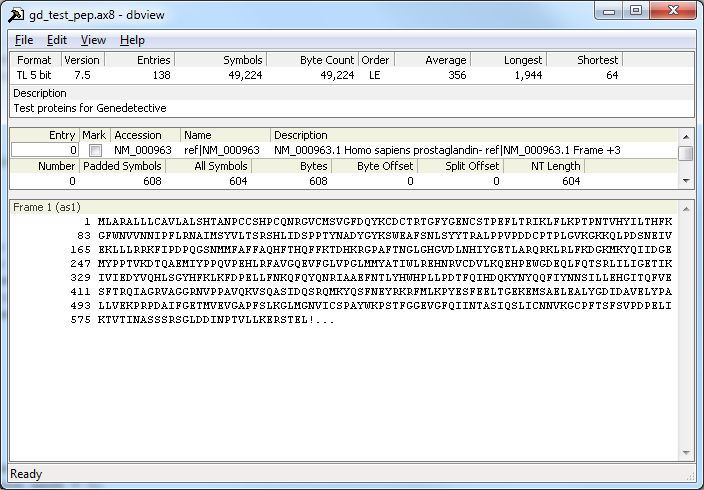 Text and pie slices are used for mouse selection of directories and files. This was written for Windows 3.1. This was written for Windows 3.1 and still works on Windows 8.1 x64. 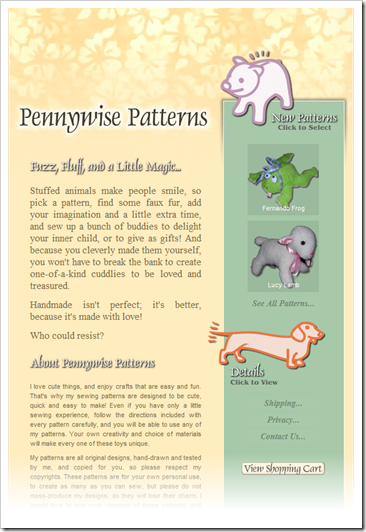 Pennywise Patterns was an e-commerce site that was created for a startup company. Pennywise Patterns never opened as an e-store and is no longer in business. 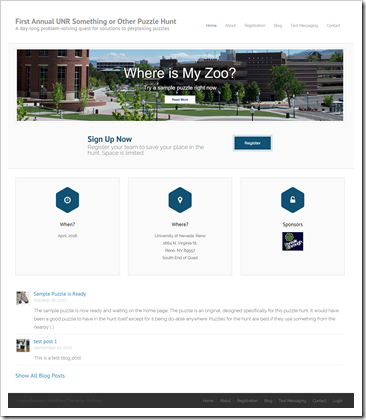 A subdomain is now used to keep the pages available for review. The partial site can be seen at pennywise.rectorsquid.com. This was an interesting project because it was integrated with PayPal. A Windows screen saver using un-translated Direct3D graphics (2D rendering). Random puzzle configurations are continually generated in order to provide the user with the most interesting and compact puzzle possible. 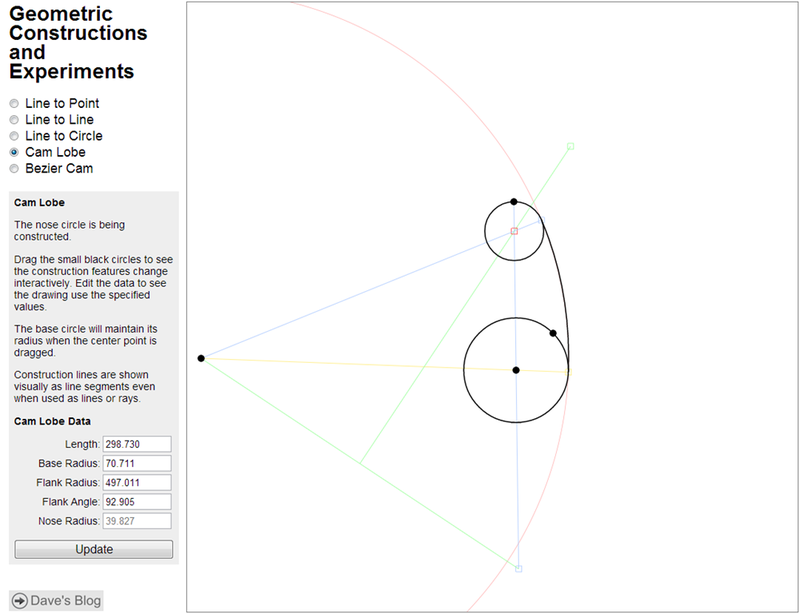 Search for Blog posts about this project. Get a copy of the executable here. 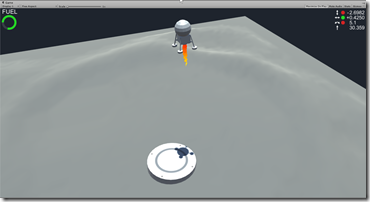 My first C++ project; this was a completely functional craps game with computer simulated players (NPC’s) and a drag-and-drop interface. 1990-1995 Audio mixing and replay control system for a seasonal haunted house attraction in Los Angeles. This included custom hardware that I designed to trigger lights and sound effects within the attraction. 1992 Robot control software written to control a home-made robot. The movements of various robot parts would be set using a graphical user interface. 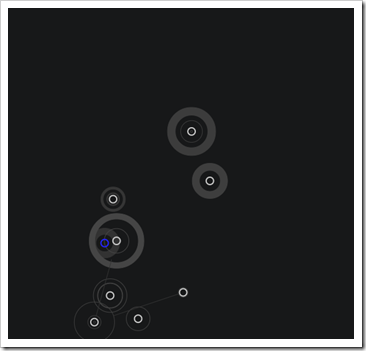 Movement of the robot mouth was automatically generated from sound data. 1992-1994 Timeline based multi-track presentation authoring system allowed for mixed still image and analog video presentations. This was written to author presentations for a high-end presentation system before laptops and MS PowerPoint were capable of high quality slide presentations with transition effects and long before software could play digital video on a home computer. 1991 Closed caption decoder for a stand-alone decoding device. 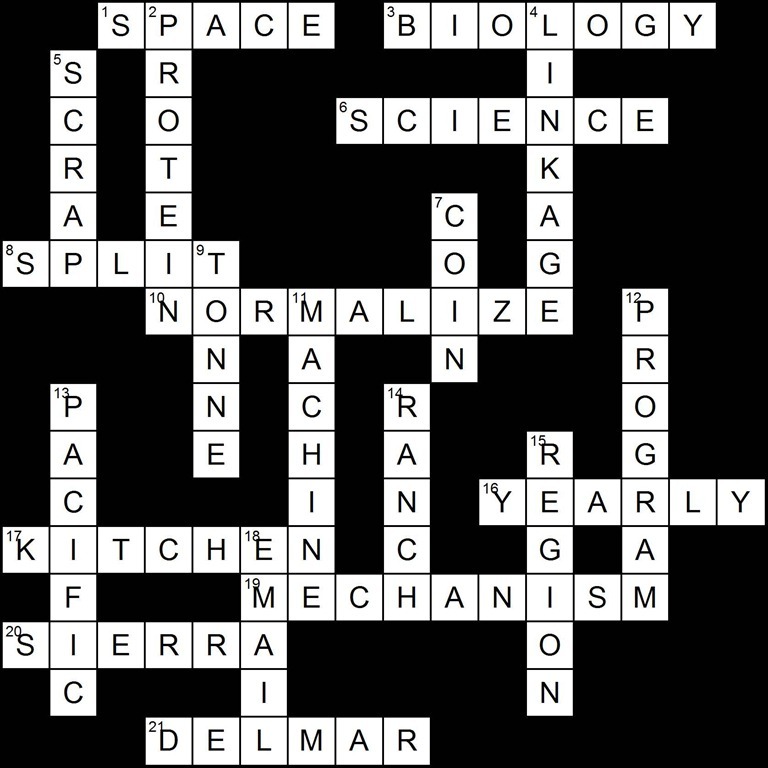 This was written using Z8 assembly and was built before closed caption decoding was available in most television sets.